That's 60 percent off the list price. Sabrent’s Quick Charge 3.0 three-port USB wall charger is $13 today, down from a list price of $33. That’s a 60-percent savings off an essential accessory—charging multiple devices quickly is a daily need for families as well as heavy tech users. This small wall charger comes equipped with three USB charging ports. For extra speed, one of them is a Qualcomm Quick Charge 3.0 port, which charges up to four times as fast as standard ports for supported Android phones. Though we haven’t tried this charger ourselves, it seems to be a winner on Amazon, with 4.5 stars out of 5 over more than 2,300 user reviews. It’s compatible with a wide range of devices, including iPhones and iPads, and most Android smartphones and tablets as well. 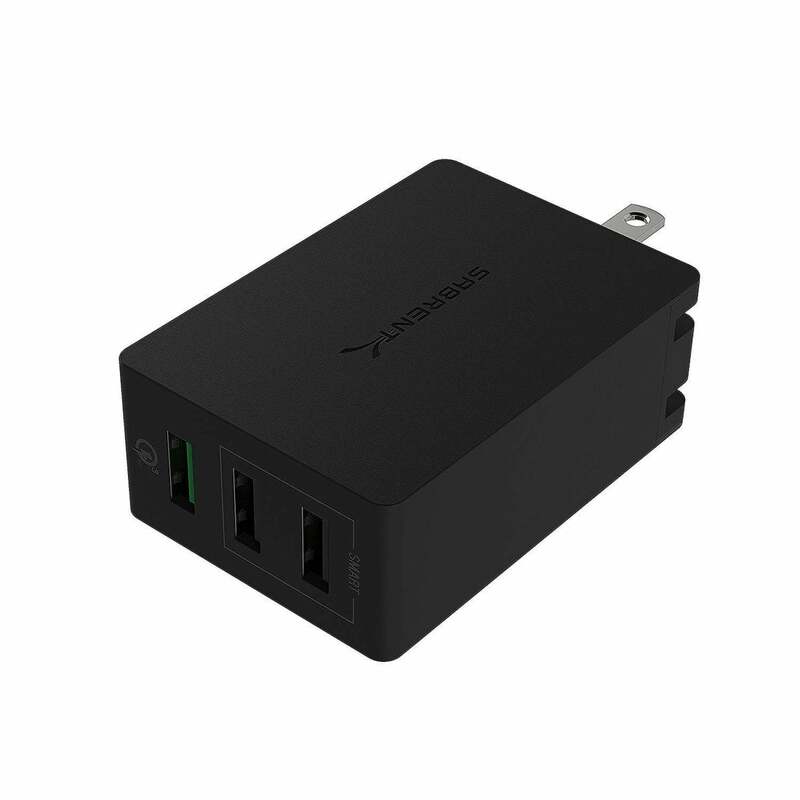 If this still doesn't provide enough ports for you, several of Sabrent’s other wall chargers are also on sale now. Just click the various options inside the product listing to find 2-, 5-, 6-, and 10-port models. And if you're looking for a little more portability in your charging, check out our roundups of the best USB car chargers and power banks.